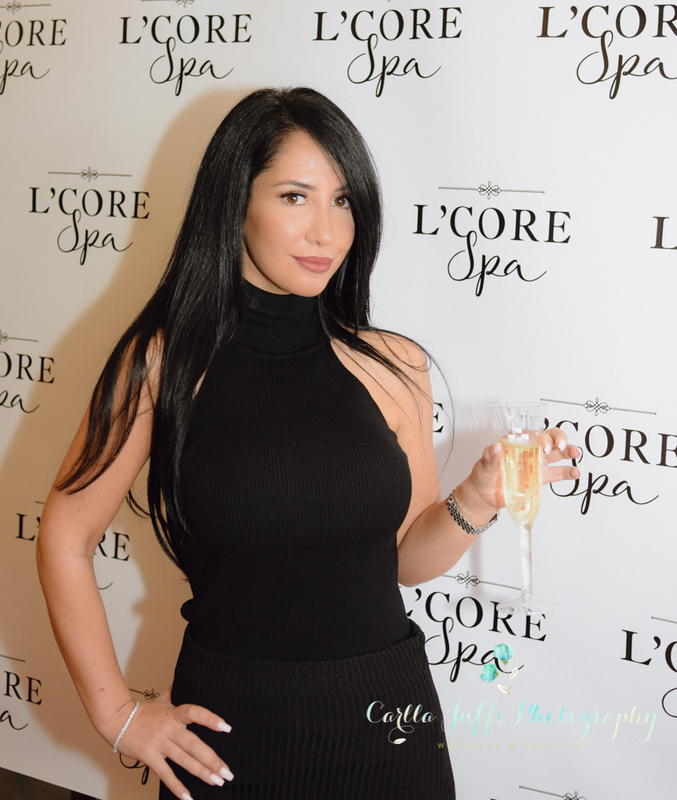 What a wonderful night at the grand opening of the state-of-the-art L’Core spa ,nail salon and spa at the Westfield Siesta Key mall. Many hair and make-up artists were present at the grand opening. IHeart radio provided music and entertainment . Catering provided by Connors steak and seafood restaurant and Toojay’s deli. Red carpet photography by Carlla juffo Photography. Eyelash extensions, permanent makeup, teeth whitening and haircuts are about to happen all under one roof at Westfield Siesta Key. At the new 8,000-square-foot L’Core Spa, which is located on the south side of the mall near Macy’s and Cobb CineBistro, estheticians, hair stylists, nail artists and more will be able to lease units and gain access to the resources they need to help start or grow a business. The idea is to support both established and budding artists, and to create a community-centered environment where clients feel welcome, Amanda May said. “If somebody has a clientele, then they can come in and start their own business and rent a space and they’re up and running, but if somebody’s newer to the industry and they need some support and some guidance, we have that, and we can put them on a different kind of program where we can help them build their clientele,” May said. For example, L’Core has an on-site education center, and programs in place to help tenants with things like design and advertising. They recently helped an esthetician learn how to build a presence on social media. Sarasota is L’Core’s first spa, but the company has ambitious plans for growth. Within the next five years, May said, L’Core will have 150 locations across the country. The next one will be in San Diego, Calif. — that spa is expected to open within the next 45 days. In Sarasota, L’Core has seven different service providers and the capacity for 34 tenants. More occupants are coming in soon, including an artist who reduces the appearance of baldness by tattooing realistic hair follicles onto people’s scalps. Supporting the small businesses within their space plays into the spa’s larger goal, which is to create a destination for the community. The plan is to hold charity events, feature work from local artists on the walls and to bring live music and wine and painting nights to the spa. May and Stevens said they want to grow their spa into a place where people feel comfortable and at home. The spa is in the same building as a L’Core Paris retail store. The store is separate from the spa, but the whole thing works together. Within the next few weeks, Amanda May, May’s makeup-driven boutique, will open in the L’Core space closest to Macy’s. The boutique will sell a variety of products, including a stamp that gives you the perfect winged eyeliner look and a medical-grade adhesive that gives you an instant eyelid lift will be available. Since they’ve been under construction at Westfield Siesta Key, May said the L’Core team has formed close relationships with other tenants within the shopping center, including Art Avenue, Naples Flatbread Kitchen & Bar and Bravo Coastal Bar and Kitchen. The mall at U.S. 41 and Siesta Drive has seen some major comings and goings over the past few years. Last year, four new restaurants opened outside, but several retailers on the inside of the mall have packed their bags. May and Stevens said they want L’Core to be part of the shopping center’s resurgence.